The main reason I started this blog was because my friends would tell me that I am always taking the kids here, there and everywhere and I should start my own website with my reviews. UK travel is hugely important to us something I really feel passionate about. I really want my three to understand the history of our country and see everything that the UK has to offer. I am in a privileged position in that I do get invited to review a few attractions across the year but I also still book (and pay for) plenty of trips myself too. Sometimes I do get carried away and when I last checked my diary my next free weekend this year is in September. Ooops! I often forget just how expensive road trips can be and petrol, accommodation, food ect..... all needs to be budgeted for. Travelling across the UK can be expensive and it's fair to say that 90% of our disposable income is spent on travel and days out. Today I am sharing some hints and tips on how to squeeze as many road trips into the year as possible without spending a fortune. We mostly travel around the UK by car. Steve works every other weekend and uses our car for work so it's one of my goals to buy my own car next year so I can take the kids on even more adventures. We'll be looking at using an insurance provider who offer multi car discount and I'll be buying a car that has low running costs (something similar to a Ford Ka I think). In terms of fuel costs, I have always been a fan of PetrolPrices.com which is a free website that compares fuel costs in your area and it goes without saying that you should avoid filling up on motorways where possible. I have written about my hatred of service stations in the past and will always pack a picnic and look for a National Trust or English Heritage property to stop at instead. They provide much more space for kids to run around and properly stretch their legs, entry is free if you are members as we are and it feels much more enjoyable than a grim service station. Packing a picnic avoids you being ripped off and paying £5 for a service station sandwich too. I will hold my hands up and say I am one of life's planners. I book now and worry about the consequences later. I genuinely think if you book early though you do get the best deals. Take budget hotels for example, Steve has just booked a road trip to Manchester to see Metallica with his friend in October. We booked his hotel room (with free cancellation) before tickets went on sale for the bargain price of £35. If we were to book the same hotel room now it would be over £100. Planning also gives you plenty of time to spread the cost too. 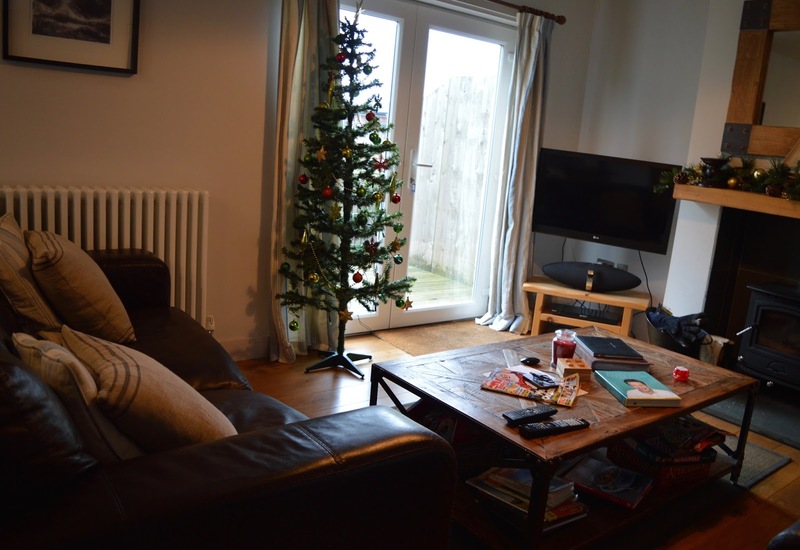 I booked a holiday cottage for Christmas 2017 before Christmas 2016 had even happened. We paid a small deposit and have spread the cost throughout the year. We are National Trust and English Heritage members and both save us so much money throughout the year. If we're taking any sort of road trip it nearly always involves National Trust or English Heritage and because we've paid for our membership in advance, it feels as if it's a free day out. In terms of attractions, it's worth looking into annual passes too. 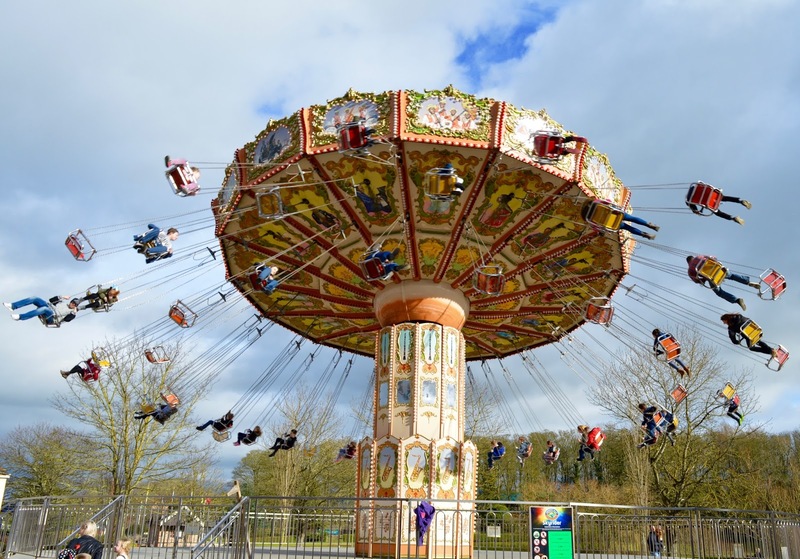 For example, you can buy a summer pass to Lightwater Valley theme park for just £45 per person (or £174 for a family of 4). I think that Angry Bird land is worth this price alone and if I lived a little closer, I'd certainly be visiting with the kids on a weekly basis (this would work out at just £7.25 per person per visit). I have always fancied a Merlin Annual Pass and think I will probably commit to a purchase in the next few years. From just £139 per person (cheaper in their sale), you can have access to over 32 Merlin attractions across the UK. That is enough to visit more than one attraction per fortnight and if you visited every attraction throughout the year, it would cost you £4.34 per visit. That is a serious bargain! I think it's all too easy saying 'x, y and z is on our bucket list' but then never doing anything about it. At the beginning of every year we sit down as a family and all decide together where we'd like to tick from our list that year and then plan our road trips accordingly. In 2016, we ticked Loch Ness and the Houses of Parliament from our list, in 2015 we visited Stonehenge , in 2014 it was the Natural History and Science Museum and back in 2012 we ticked 'hiring a beach hut' from our list. 2017 is the year we'll celebrate Christmas is a cottage and we're hiring a boat to sail the Norfolk broads (wish us luck for that one). Once you have chosen your destinations for the year, book holidays from work ASAP and then start making them a reality by looking for deals and ways to save money wherever possible. We have used all means possible to work through our bucket list and stayed in everything from youth hostels to campsites and everything in between. 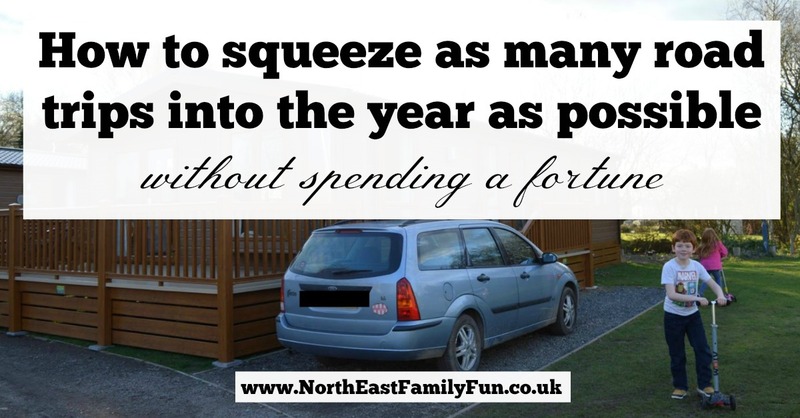 Where are North East Family Fun heading this year? Let me know if you have planned any road trips this year and if you have any tips for saving money. Wow you certainly do enjoy alot of lovely trips! Been thinking about getting a national trust membership myself and totally agree with you about service stations - I hate them! Some fab trips on here Sam. I love how you book and worry later - that is a bit like us at the moment. I have a lot of places on my bucket list. We recently went to the WB studios tour and it was absolutely amazing - the kids will love it. It might be worth a watch through of the movies before you go as I wish my hubby had done that - he isn't as big a fan as me! PS. The harry potter shop was SOOO expensive! !